Well! 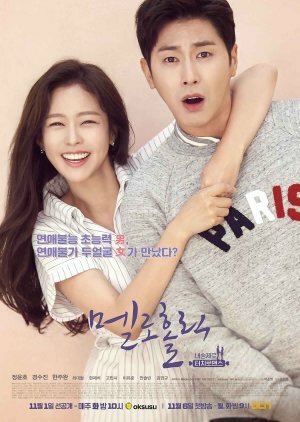 Meloholic was an over the hill and below the ground journey so my feelings for this drama are mixed. It do picturised a series of scenes from your clichéd rom-com kdramas but you'll never know when and where it might make you astonished by its twist and turns. The first half of the drama doesn't promises to give you an exciting plot or an acting by the leads on whom you can lean on for the second half. You might actually end up giving up on this drama too ( like I did lol) but that is the point from where the real plot and acting begins. I would had probably given up on it too if only my friend (Carol) wouldn't have provoke me to start it again. The first half of the drama entices it's viewers for element like its bold picturization, supernatural power possesed by the lead and multiple personality disorder diaease. So it might seems like their is no plot and that the multiple personality disorder was just a way to fool audience. But the second half is where the real plot and story begins with one scene linking to other like a chain reaction. It has a cute or I should say much cuter ending than what I expected. So in the end i wouldn't say it was the best but I can guarantee it wouldn't be your worst either! !